Great Savings on Great New Audi Vehicles! 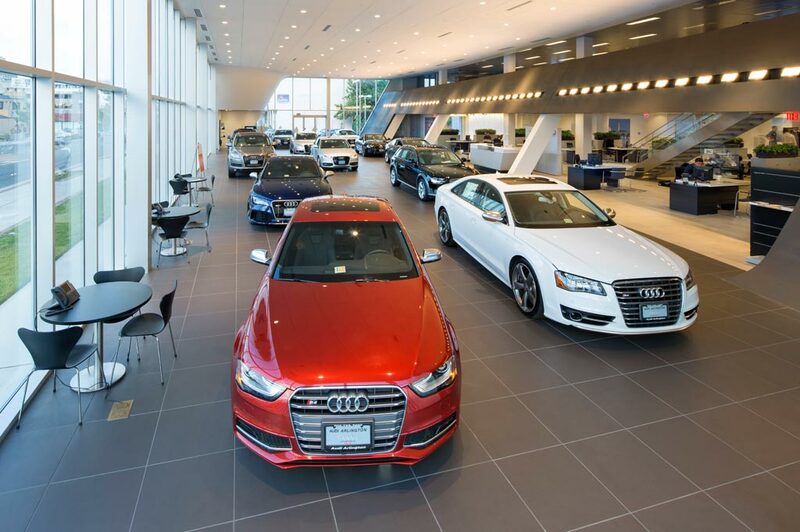 Audi Lansing, formerly Williams Audi in Lansing, MI treats the needs of each individual customer with paramount concern. We know that you have high expectations, and as a car dealer we enjoy the challenge of meeting and exceeding those standards each and every time. Allow us to demonstrate our commitment to excellence! Our experienced sales staff is eager to share its knowledge and enthusiasm with you. We encourage you to browse our online inventory, schedule a test drive and investigate financing options. You can also request more information about a vehicle using our online form or by calling (888) 285-9538. Audi Lansing, the new name for Williams Audi in Lansing, Michigan, has been a family-owned business for over 37 years & proud members of the mid-Michigan community, including Lansing, East Lansing, and Jackson. Audi Lansing, formerly Williams Audi, is part of Williams Auto World and located in Lansing, MI. We are your Lansing Audi dealer. At our newly remodeled dealership, we have been happily serving customers since 1971. We still sell the same great cars, and provide the excellent customer service that our loyal customers have come to expect over the thirty five plus years of our business. Audi Lansing in Lansing, MI treats the needs of each individual customer with paramount concern. We know that you have high expectations, and as a car dealer we enjoy the challenge of meeting and exceeding those standards each and every time. Allow us to demonstrate our commitment to excellence! Our experienced sales staff is eager to share its knowledge and enthusiasm with you. We encourage you to browse our online inventory, schedule a test drive and investigate financing options. You can also request more information about a vehicle using our online form or by calling (517)484-1341.